Waaree Energies Ltd. is the biggest company of Waaree Group, founded in 1989 with headquarters in Mumbai, India. Waaree solar has India's largest Solar PV Module manufacturing capacity of 1.5 GW's at its plant in Gujarat. Waaree Energies is amongst the top player in India in Solar providing system. Waaree Solar has its presence in over 300+ locations nationally and 60 countries internationally. 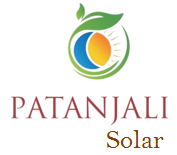 Waaree solar Tier 1* bankable module manufacturer* with 29 year history. Waaree solar has Torsion and corrosion resistant with anodized aluminum frame. Cells sorted by power and current to minimize losses in the waaree solar panels . Waaree solar panels are highly reliable IP67 rated junction box. Electroluminescence tested for microcracks in waaree solar Panels. Waaree solar has greater energy generated due to positive power tolerance of up to 5W. Waaree solar are reliable under extreme weather conditions. Waaree solar Panels are TUV and UL certified Potential Induced Degradation free modules.